School officials nationwide dodge accountability ratings by steering low achievers to alternative programs. In Orlando, Florida, the nation’s tenth-largest district, thousands of students who leave alternative charters run by a for-profit company aren’t counted as dropouts. by Heather Vogell and Hannah Fresques, ProPublica February 21, 2017 This story was co-published with USA Today. ProPublica and USA Today are teaming up to cover a neglected sector of American K-12 education. If you are familiar with alternative schools for students with academic or behavioral issues, we need your help. Olympia’s success in recent years, however, has been linked to another, quite different school five miles away. Last school year, 137 students assigned to Olympia’s attendance zone instead attended Sunshine High, a charter alternative school run by a for-profit company. Sunshine stands a few doors down from a tobacco shop and a liquor store in a strip mall. It offers no sports teams and few extra-curricular activities. Sunshine’s 455 students — more than 85 percent of whom are black or Hispanic — sit for four hours a day in front of computers with little or no live teaching. One former student said he was left to himself to goof off or cheat on tests by looking up answers on the internet. A current student said he was robbed near the strip mall’s parking lot, twice. 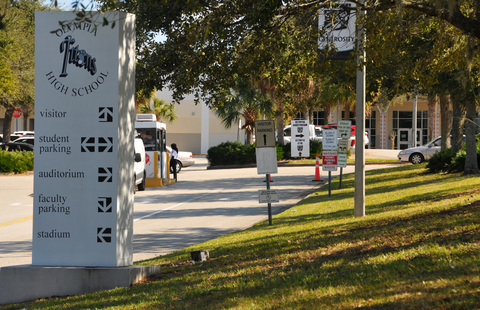 Sunshine takes in cast-offs from Olympia and other Orlando high schools in a mutually beneficial arrangement. Olympia keeps its graduation rate above 90 percent — and its rating an “A” under Florida’s all-important grading system for schools — partly by shipping its worst achievers to Sunshine. Sunshine collects enough school district money to cover costs and pay its management firm, Accelerated Learning Solutions (ALS), a more than $1.5 million-a-year “management fee,” 2015 financial records show — more than what the school spends on instruction. But students lose out, a ProPublica investigation found. Once enrolled at Sunshine, hundreds of them exit quickly with no degree and limited prospects. The departures expose a practice in which officials in the nation’s tenth-largest school district have for years quietly funneled thousands of disadvantaged students — some say against their wishes — into alternative charter schools that allow them to disappear without counting as dropouts. “I would show up, I would sit down and listen to music the whole time. I didn’t really make any progress the whole time I was there,” said Thiago Mello, 20, who spent a year at Sunshine and left without graduating. He had transferred there from another alternative charter school, where he enrolled after his grades slipped at Olympia. The Orlando schools illustrate a national pattern. Alternative schools have long served as placements for students who violated disciplinary codes. But since the No Child Left Behind Act of 2001 refashioned the yardstick for judging schools, alternative education has taken on another role: A silent release valve for high schools like Olympia that are straining under the pressure of accountability reform. As a result, alternative schools at times become warehouses where regular schools stow poor performers to avoid being held accountable. Traditional high schools in many states are free to use alternative programs to rid themselves of weak students whose test scores, truancy and risk of dropping out threaten their standing, a ProPublica survey of state policies found. Concerns that schools artificially boosted test scores by dumping low achievers into alternative programs have surfaced in connection with ongoing litigation in Louisiana and Pennsylvania, and echo findings from a legislative report a decade ago in California. The phenomenon is borne out by national data: While the number of students in alternative schools grew moderately over the past 15 years, upticks occurred as new national mandates kicked in on standardized testing and graduation rates. The role of charter alternative schools like Sunshine — publicly funded but managed by for-profit companies — is likely to grow under the new U.S. Secretary of Education, Betsy DeVos, an ardent supporter of school choice. In her home state of Michigan, charter schools have been responsible in part for a steep rise in the alternative school population. She recently portrayed Florida as a national model for charters and choice. In Orlando, both traditional and alternative charter schools manipulate the accountability system. The charters exploit a loophole in state regulations: By coding hundreds of students who leave as withdrawing to enter adult education, such as GED classes, Sunshine claims virtually no dropouts. State rules don’t label withdrawals for that reason as dropping out. But ALS officials cannot say where Sunshine students actually went — or if they even took GED classes at all. Between the day in 2012 when it first opened, and the end of the 2015 school year, Sunshine High coded 1,230 withdrawals as students leaving for adult education. At least nine of the company’s other charter schools statewide — including three in Orange County — followed a similar pattern. Not counting Sunshine, the other ALS schools in Florida reported 5,260 more such withdrawals. ALS ran seven of the 10 high schools statewide with the most withdrawals to adult education in 2015. Sunshine ranked first. If all such withdrawals from ALS schools in Florida were counted as dropouts, the number of times that students quit school statewide that year would increase by at least 5 percent. In Orange County, the number of dropouts would jump by at least 80 percent. The apparent suppression of the dropout rate occurred as Orlando’s district, Orange County Public Schools, geared up to win a major national education award. In a written statement, district officials disputed that the transfers helped elevate the school system’s standing under state accountability rules. Students who quit to pursue adult education do count against the district’s overall graduation rate, even though they aren’t labeled as dropouts, they said. They did not respond to questions about whether transfers to Sunshine and other alternative charters have inflated the graduation rates of traditional schools like Olympia. ALS President Angela Whitford-Narine said the company is continually improving at the challenging task of helping students who have struggled academically attain enough credits to graduate. The average student in ALS schools is at least two years behind, she said. Sunshine and schools like it promise students they can graduate more quickly by going at their own pace. But Mello said students end up at Sunshine because they had trouble getting their work done. The symbiotic relationship between Olympia and Sunshine sheds light on a neglected sector of American K-12 education: a sprawling system of “alternative” schools made up of roughly half a million of the nation’s most vulnerable students. No Child Left Behind was supposed to improve educational outcomes for students long overlooked — including those who were black, Hispanic and low-income. 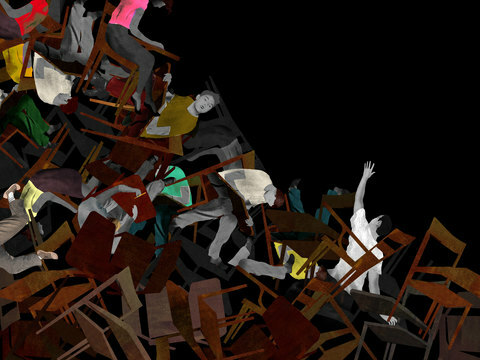 Yet as the pressure ramped up, ProPublica’s analysis found, those students were precisely the ones overrepresented in alternative classrooms — where many found a second-tier education awaiting them. Barbara Fedders, a law professor at the University of North Carolina-Chapel Hill, said alternative schools too frequently fail to halt students’ downward trajectory, simply isolating them, instead. The alternative sector’s new focus on academic struggles also created a niche that charter school groups sought to fill, including for-profits like ALS. Supporters of alternative schools say they provide more support for struggling students, and the best do — through small classes, caring teachers, flexible schedules and extra counseling and tutoring. Arkansas, for instance, has devoted “tremendous resources” to lower student-teacher ratios, specialized teacher training and project-based learning in its alternative program, said Lori Lamb, the state’s director of alternative education. ProPublica analysis of U.S. Department of Education data. Low income students are identified by eligibility for free school lunches. But a broad swath of the schools short-change their students, ProPublica’s analysis of federal data shows. Nationwide, nearly a third of the alternative-school population attends a school that spends at least $500 less per pupil than regular schools do in the same district. Forty percent of school districts with alternative schools provide counseling services only in regular schools. Charter alternative schools — both virtual and bricks-and-mortar — in Ohio, Georgia and Florida have been accused of collecting public money for students who weren’t in classes. Across the country, students and their advocates report, alternative classes are sometimes taught in crumbling buildings, school basements, trailers and strip malls. Some lack textbooks and, in many, students sit in front of computers all day instead of engaging with teachers. States often hold alternative schools to lower standards. Some exempt them from achievement goals, oversight or reporting rules other schools must follow, ProPublica found. In Florida, while regular schools like Olympia get letter grades for performance, alternative schools can opt for less rigorous ratings tied to testing progress. Rather than lifting the performance of marginal students, alternative schools serve too often as way stations for future dropouts. While just 6 percent of regular schools have graduation rates below 50 percent, our analysis found nearly half of alternative schools do. “What was done in the alternative programs was just shameful,” said Leon Smith, a lawyer at the Center for Children’s Advocacy, which has pushed for reforms in Connecticut. In that state, a survey of alternative education a few years ago revealed substandard facilities and programs that offered fewer class hours than regular schools did. The effect was to demoralize students who were already demoralized. One day in early 2014, Jacquline Haas was sitting in chemistry class at Olympia High when she was summoned to the guidance counselor’s office. A quiet student who had never been in trouble, she nervously left class. Jacquline, a junior, had struggled in high school because of a learning disability that made her a slow reader. But on that day, her attitude toward school had been buoyed by the possibility of adding vocational classes to her schedule senior year. She wanted to study cosmetology. When she arrived at the guidance office, Jacquline joined 10 to 15 other students who were also floundering academically. A man representing Sunshine High addressed the assembly. He told them the school could help them catch up on credits so they could graduate. Jacquline was shaken, disappointed by the idea of leaving Olympia — especially given her encouraging tour of the vocational program earlier in the day. “It just kind of popped my bubble,” she said. She brought the brochure about Sunshine and other Accelerated Learning Solutions schools home to her mother, who reacted even more strongly. To Jennifer Haas, the message was clear: Her daughter was not welcome at Olympia because of her borderline grades and test scores. The year before, Haas had provided school counselors ample information on her daughter’s type of Attention Deficit Hyperactivity Disorder, including a professional evaluation. She felt the school had responded by trying to push Jacquline out. Those numbers include standardized test scores, graduation rates and the letter grades schools in Florida receive each year. In some cases, funding is tied to the results — and, in all cases, so are the reputations of the school and the professionals who run it. Olympia has done particularly well. The school’s leaders boast on its website that the school is the only one in the district to receive an “A” rating from the state for seven straight years. Its graduation rate of 93 percent is among the highest in the school district. The state’s strict graduation criteria require most students to maintain a 2.0 GPA, pass certain standardized tests and obtain 24 credits to graduate. Two other students besides Jacquline, as well as a former guidance counselor, confirmed to ProPublica that Olympia has allowed ALS representatives to pitch its schools to poor-performing students in assemblies. 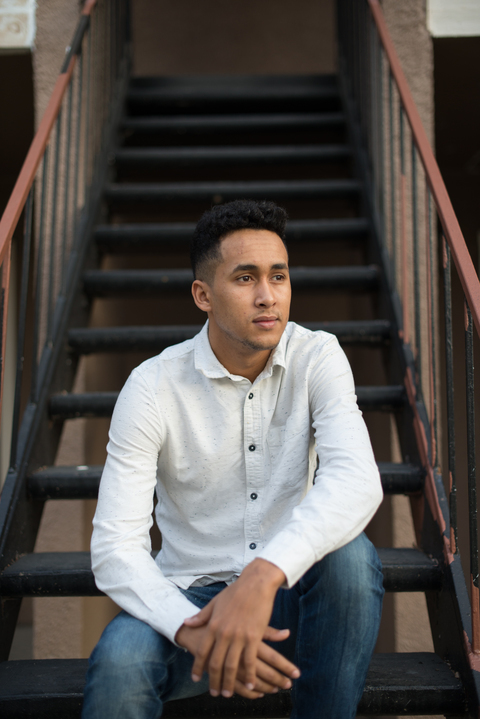 The transfers of thousands of students like Cowans from traditional schools have spurred explosive growth in Orange County’s alternative high school population. ProPublica’s analysis of federal data shows that the district’s alternative school enrollment tripled from 1,300 students in the 2009 school year to 3,900 in 2014. A driving force: Sunshine and its sister Accelerated Learning Solutions schools — Sheeler, Chancery and Aloma. A fifth ALS school, Econ River, opened last fall. Few students earn diplomas on time from the ALS schools, whose low graduation rates are a drag on Orange County’s districtwide average. But by labeling students who left as transfers to adult ed programs such as GED classes, the ALS schools kept thousands of departures from being listed officially as dropouts. Orange County only reported 211 dropouts in 2015. That same year, countywide, its ALS schools reported 1,038 adult education withdrawals. The transfers likely helped the school district’s test scores, too. The academically at-risk students who attend ALS schools tend to score below their counterparts at Olympia and other traditional schools. But they inflict less damage on the district’s average scores at Sunshine because it tests a smaller percentage of eligible test takers — the group that matters for accountability purposes — than Olympia does. While Olympia tested 95 percent of such students in 2016, Sunshine tested just 80 percent, state data shows. Another ALS school in Orange County, Sheeler High, tested only half of its eligible students. Regular high schools in Orange County likely enjoyed the biggest benefit of the exodus. Evans, Edgewater, and West Orange high schools saw jumps of more than 10 percentage points in their graduation rates between the 2011 and 2014 school years. The 14 percentage point boost in Evans’ graduation rate over that period coincided with a substantial exodus of students from its neighborhoods to ALS schools. In 2014, district data obtained through a public records request shows, 170 students assigned to Evans’ zone attended Sunshine, and 101 went to Sheeler. “I was slacking off at my old school,” said Angel Hernandez, while waiting for a ride after class at ALS’s Sheeler High northwest of Orlando early in the school year. Hernandez, then 19, said he attended West Orange High until staff there suggested to his parents that he transfer to Sheeler or Sunshine to catch up. While the number of students in alternative schools grew moderately over the past 15 years, upticks occurred as new national mandates kicked in on standardized testing and graduation rates. ProPublica analysis of U.S. Department of Education data. Some schools, such as juvenile justice schools and state-operated schools serving special needs populations, were excluded from the counts of alternative school students. In cases where state enrollment fluctuated dramatically (indicating a likely reporting error) we smoothed the curve by imputing a value for the state based on the previous and prior years’ values. School years are labeled with their ending year. The year 2000 refers to the 1999-2000 school year, 2001 is the 2000-2001 school year, etc. Olympia, which already had a high graduation rate, didn’t experience a comparable boost. Still, it saw sharp hikes in the rates for subsets of students similar to those that frequently end up in ALS schools. The graduation rate for Olympia’s low-income population rose by 7 percentage points between the 2012 and 2016 school years, for instance. The rate for its disabled students increased by 18 percentage points. In their statement, school district officials noted the district’s overall graduation rate, which includes the performance of the charter alternative schools, has risen in recent years. “We are committed to student success and providing all students with options that lead them to graduation,” the statement said. The school district declined a request by ProPublica to speak with Superintendent Barbara Jenkins. In November, Jenkins was named Florida’s Superintendent of the Year. The alternative education boom occurred as Orange County Public Schools — which serves more than 200,000 students, two-thirds of whom are economically disadvantaged — sought national recognition. The district in 2014 was one of two nationwide awarded the annual Broad Prize for Urban Education, then considered by some to be the Nobel Prize for large public school systems. (The Eli and Edythe Broad Foundation suspended the Prize in 2015, citing “sluggish academic results” by the nation’s biggest school districts.) Selection jurors praised Orange County not only for raising students’ achievement across grade levels, but for doing so at a rapid pace. “Orange County demonstrates that a sense of urgency and focus can improve student achievement in a hurry,” Broad Foundation president Bruce Reed said at the time. The award put the district and school leaders in the spotlight as exemplars of urban school reform and brought Orange County students $500,000 in scholarships. In response to questions from ProPublica, analysts working with the Broad Foundation said that, after reviewing the data, they saw no evidence that moving students to alternative charter schools boosted the Orange County district’s overall testing performance inappropriately, according to a statement released by the foundation. Award jurors did not consider the dropout rate when making the award, they said. 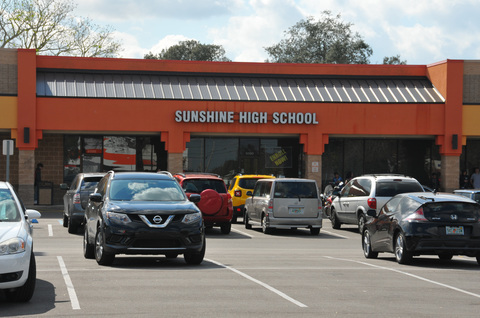 At Sunshine High, students attend four-hour sessions in a storefront with a handful of tidy classrooms off a central hallway, and work through subject courses in computer labs. A single teacher typically monitors up to 25 students at different levels and subject areas. There is no homework. The school runs three sessions a day, searching students with a metal detector when they enter. Security guards patrol the area. Mello, who went to Sunshine when it first opened in 2012, said that many students at the time knew how to get around the school’s software to log onto gaming websites, or cheat by looking up answers on the Web. “A lot of the times people flew by by doing that,” he said. Whitford-Narine said that since 2015, the schools have blocked access to music or video streaming sites that aren’t part of classes. The schools also now have web filters that stop students from accessing sites not connected to their curriculum. Asked how they ended up at Sunshine, several students said their traditional Orlando high schools gave them no choice: School staff told them they had to transfer to a charter school like Sunshine because they had fallen too far behind. Or, if they tried to enter the Orlando schools from outside the district, counselors told them they couldn’t enroll because their academic records were too weak, and directed them to Sunshine. In response to questions from ProPublica, the district’s chief communications officer, Scott Howat, said that Sheals’ guardian had made the decision to send him to Sunshine. 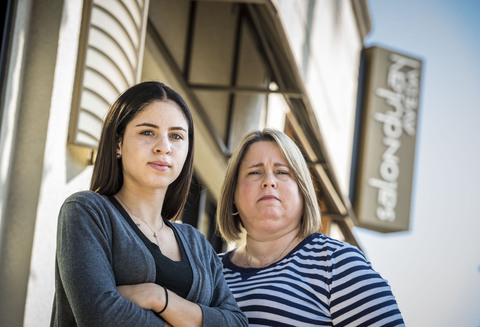 Overall, of 32 students whom ProPublica interviewed at ALS schools in Orlando, almost half — 15 — said that because of academics, they had been denied admission to regular public high schools or told they had to transfer from them to alternative programs. Under Florida’s state constitution, students who have not been disciplined have an “absolute” right to attend their zoned regular school, said special education attorney Stephanie Langer of Coral Gables. Schools sometimes push students and their parents to leave by telling them they won’t graduate otherwise, she said. “It’s sort of like bullying,” Langer said. Harold Border, Orange County’s chief of high schools, said the district’s traditional high schools are supposed to monitor and assist students having difficulty, and not send them to alternative charters if they don’t want to go. “We take those concerns seriously and we continue to emphasize with our schools that any student who comes to us that’s within our zone, we have a welcoming environment,” he said. “When we get to that point, there should be discussions with parents and students in concert well before they’re speaking with someone coming in from another school,” he said. Border said schools should monitor students to keep them from falling behind. “I would say it concerns me if their perception is that they weren’t welcome at their home high school,” he said. But, she said, counselors were only trying to give students every chance to graduate. Transfers were optional. Pressure from the state and district put immense burdens on teachers, she said, making it hard for them to spare time for struggling students. It seemed, sometimes, as if there were simply no room for remediation, she said. Olympia’s principal, Guy Swenson, did not respond to an email from ProPublica, instead forwarding it to the district’s communications office. The school district denied a request to tour the school. Orlando schools are not unique in using alternative programs to remove struggling students from traditional classrooms. As far back as 2007, a legislative report in California warned that the state’s accountability system allowed traditional schools to shirk responsibility for low-performing students by referring them to alternative schools. The state is currently reviewing its standards for alternative schools. In Louisiana about a year ago, lawyers for students complaining of discriminatory treatment in alternative schools in a school district near New Orleans discovered student transfers from regular schools shot up just before the state’s annual tests were given. Such transfers could be a way to avoid having scores count against students’ home schools. The complaint, filed by the Southern Poverty Law Center with the U.S. Department of Justice’s Civil Rights Division, is still open. That complaint, filed with the Justice Department in 2013, is also ongoing. Orlando is one of 83 school districts, from Newark to Los Angeles, where regular schools increased their graduation rates by at least one percentage point from 2010 to 2014 while sending more students into alternative education, ProPublica’s analysis found. Such a pattern could indicate that traditional schools are weeding out students at greater risk of dropping out, although there are many reasons why graduation rates rise. While charter schools have been accused of cherry-picking top students, ALS belongs to a growing and controversial segment of the sector that instead seeks out low achievers. These students “are a little profit center,” said Jorge Ruiz de Velasco, a senior researcher at Stanford University. Nearly 2,000 school districts house “alternative” schools intended to serve students with disciplinary or academic problems. Using federal data, we show the relative size of the alternative school population in each district. The color of the bubble reflects several factors that taken together are warning signs that a district’s alternative middle/high schools are of poor quality or that a district may be using alternative schools to improve accountability measures. Factors included are growth in enrollment, under- resourcing (such as per pupil staffing and spending in alternative schools versus regular schools), and low graduation rates. Companies running schools in this niche often save costs by relying on computer programs that reduce the need for credentialed teachers. The market can be lucrative: As enrollment grew, ALS’ management fees from the schools it operates in Orange County more than doubled from $2.5 million in the 2012 school year to $5.4 million in 2015. The company says the fees pay for back-office services, such as human resources, as well as school-based support for areas such as curriculum, reading, math, security, and professional development. ALS’ roots, however, lie in a more traditional approach to alternative schools: one that focused on discipline. The company’s affiliate — the controversial Nashville-based Community Education Partners, or CEP — contracted with school districts to serve students with behavior problems. The company, founded by a lawyer and Republican Party operative named Randle Richardson, ran schools for students who had committed disciplinary violations in cities such as Atlanta, Philadelphia, Houston and Orlando for more than a decade. Critics called CEP’s schools prison-like and dangerous, and charged that their academics were sub-par. In 2012, after a spate of critical media coverage, Richardson told FRONTLINE he planned to shutter CEP. In 2015, CEP assigned its management agreement for Sunshine High entirely to ALS, which had previously shared the role with CEP. Also led by Richardson, ALS now has 21 schools in Florida, three in North Carolina and one in Georgia. Its administrative base is in Nashville, though school operations are run out of Orlando. ALS has hit trouble in some Florida school districts, facing criticism both for academic issues such as single-digit graduation rates and for its financial practices. In 2015, a state auditor accused ALS of overcharging Jacksonville’s school district, Duval County Public Schools, more than $200,000. ALS has appealed the audit. In 2016, a former teacher at North Nicholas High, an ALS school in Florida’s Lee County, alleged in a federal lawsuit that staff there helped students cheat and tampered with grades, falsifying course completion forms for some failing students to make it look as if they passed. The former teacher, Kenneth Williams, also reported to school district authorities that the school’s staff sometimes used personal vehicles to drive students to school on days when the state was counting attendance to increase enrollment numbers, and therefore, payments from the district. The school offered students prizes and raffles on those days to boost attendance, the teacher alleged. Williams said he was fired in retaliation for reporting violations to the school district. The company denied the allegations in a response filed in U.S. District Court in Fort Myers, Florida. Whitford-Narine reiterated the denial, and said in a statement that Williams was terminated for “failure to perform his duties as a classroom teacher.” The case is ongoing. Florida enrolls nearly 40,000 students in alternative schools. Twenty-one schools throughout the state are run by for-profit charter manager Accelerated Learning Solutions. In the school district that includes Orlando, Florida, which is the nation’s tenth largest, thousands of students leave ALS schools without diplomas but aren’t counted as dropouts. ALS has waded into state political contests, with the company and its executives contributing at least $45,000 to Florida politicians and political action committees since 2015 — including sizeable contributions to the Republican Party of Florida and a political action committee called Citizens First that has taken in tens of thousands in donations from charter organizations. ALS officials have donated to local school board races, too. And state records show that since last year, ALS has paid between $70,000 and $190,000 to lobbyists. On the company’s legislative agenda: convincing state policymakers to lower the accountability bar further for alternative education, citing students’ challenging backgrounds. The company urged state officials, for instance, not to count last school year’s performance against alternative schools, because the state made the rating more rigorous. Most ALS students are approaching 18 years old and missing more than half the credits they need to graduate, she said. The graduation rate, which requires students to earn their diploma in four years, understates ALS schools’ successes, she said. Staff provide extra help, career counseling and social services referrals to those who need it. Students who are struggling with reading or math can see a specialist. If students have jobs, the schools work with them to fulfill elective credits through work experience. A few students continue to participate in sports or clubs at their zoned school, she said. Most of the students desperately need the ALS schools’ flexible schedule, she said. Some are parents or have job or family commitments that interfere with school. Whitford-Narine introduced a ProPublica reporter to one student, Charlotte Mims, who said she has been taking classes at Aloma after missing much of high school when her parents fell seriously — and, in her father’s case, fatally — ill. Mims was working constantly and caring for them, and she said she would not have had a chance at a regular diploma if not for Aloma. “This school is very special to me,” she said. One August afternoon after school let out, Sunshine Principal Margaret Olmo spotted a former student in the reception area. The student had quit school, but was thinking of returning. Olmo gave him an animated, urgent pep talk, encouraging him to register again. He could start classes as soon as the next day, she said. If the school’s statistics were to be believed, the student was a rarity. In its first three school years, 2013 through 2015, the school told the state it had zero dropouts (though the district told ProPublica Sunshine’s dropout rate was 1 percent in 2014 and 2015). Several Sunshine students said they knew others who had dropped out. Though it claimed to have no dropouts, Sunshine reported that only 100 students graduated with standard diplomas and no special conditions from 2013 to 2015, state data shows. What happened to the hundreds of other students who exited? Based on Sunshine’s reports to the state, a large number withdrew to pursue equivalency degrees. Whitford-Narine said ALS schools will help students find GED programs if it looks like they are going to drop out. The schools also host career fairs where they bring in prospective employers and representatives of the military. Most of the students who leave ALS schools for adult education programs have personal or family issues, worry that they will “age out” of public school at 21, or are frustrated with the time and effort it takes to earn a regular diploma, she said. “We can’t save every student, we understand that,” she said. However, she wrote in an email, Sunshine reports that a student is enrolling in adult education based on what the student or parent says their plans are, rather than actual evidence of enrollment. The company does call students to urge them to come back in the months after they leave school, she said, but it does not keep a record of what adult programs, if any, students say they are enrolled in. Asserting without evidence that former students are pursuing adult-education degrees appears to violate state rules. In Michigan, Secretary of Education Betsy DeVos’s home state, charter schools have been responsible in part for a steep rise in the alternative school population. For the code to be used accurately, state education officials require that schools have evidence students either enrolled in an adult education class or passed the GED test, wrote spokeswoman Cheryl Etters in an email. A promise to enroll is not enough. The school district is responsible for making sure documentation in students’ files backs up use of the code. Whitford-Narine said in the statement that ALS would contact the state Department of Education for guidance and adjust its procedures if needed. Three people who work in adult education programs in Orlando said that while they don’t always know where students come from, they were unaware of a large influx from charter alternative schools like Sunshine. “That would be well known,” said Scott Weidl, an assistant director at Orange Technical College’s Westside Campus, which is the closest of five adult education centers to Sunshine. “I’ve never seen that scenario.” Joyce Whidden, who is director of a nonprofit called the Adult Literacy League of Orlando that has an adult education program, said she, too, had not heard of substantial numbers of students leaving charter alternative schools for adult education. Even when it leads to a GED, adult education can severely limit students’ options and is not viewed by the Orange County school district as a desirable outcome for students young enough to attend traditional schools. “It’s not a planned path for a student,” Border said. When told Sunshine reports sending many students to adult education, Gagne, the former Olympia guidance counselor, said she was surprised. Accelerated Learning Solutions, a for-profit company, manages seven of the 10 schools in Florida that report the most students leaving for adult education, such as GED programs, and nine of the top 15. Under Florida rules, those students aren't counted as dropouts. School districts don’t have the power to hire and fire charter school personnel. But they are supposed to make sure charter schools like Sunshine are helping students. The Orange County School District is responsible for tracking whether the schools fulfill promises made in their charter contracts related to academics. District officials said they monitor ALS schools by checking metrics kept in “notebooks” at each school site during twice-annual visits. For Sunshine, those measures include a “completion rate” that considers how many students either graduate or are continuing to work toward a regular diploma — at Sunshine or any other school — each year. The rate was just 42 percent of students in 2014, the school said, but rose to 59 percent in 2015 and 83 percent in 2016. Whitford-Narine cited other statistics she said show students are benefiting from ALS schools. Her statement on company letterhead emphasized in boldface that 63 percent of students gain at least two grade levels in reading and 77 percent make grade-level growth in math after attending ALS schools for at least a semester. When evaluating charters, the district also looks at their state ratings. For alternative schools like Sunshine, the state calculates those ratings based on gains in test scores. Sunshine High’s on-time graduation rate sunk to 3.5 percent in 2016. But it tested the bare minimum number of students required and their scores were just high enough for the school to avoid an “unsatisfactory” rating. Two ALS schools tested too few students to receive a rating at all. Sunshine could see its contract terminated if it receives poor ratings for two out of four years — or if it fails to test enough students for two of four years. District officials said they have never sanctioned ALS or its schools for missing benchmarks. “We have no records indicating these schools have had any compliance issues,” a district spokeswoman said in an email. Two years ago, the district renewed the charters of several ALS schools for 15-year terms — which state law permits for charters with “exemplary academic programming and fiscal management.” Sunshine’s contract is up for renewal in June. Representatives from both ALS and the district said their relationship is strong. Back in 2014, when Olympia encouraged Jacquline Haas to transfer to Sunshine, her mother Jennifer was so fed up she wondered if she should simply pull her daughter out of Olympia and enroll her in GED classes. She fired off an angry email to school board members and Gov. Rick Scott’s office threatening to do as much. “I will be happy once my daughter is finally out of the school system and being productive and less stressed than she is now,” Haas wrote. That prospect would likely worry Olympia officials. Despite its size, Olympia sent fewer than 10 students to adult education in each of the 2013, 2014 and 2015 school years. While they aren’t technically considered dropouts, they do bring down Olympia’s lauded graduation rate. Using federal and local data, ProPublica examined how some alternative schools shortchange students. Read the methodology. After a tense meeting with Haas, Olympia developed a plan to salvage the teen’s academic career. A supportive guidance counselor helped find teachers who could accommodate her learning disability, and worked to get her into the vocational classes she wanted. Jacquline took online classes after school to supplement her regular Olympia school courses. With the extra support, she passed a mandatory standardized test and even raised her grade-point-average in her senior year to 3.49 on a 4.0 scale, lifting her four-year GPA over the 2.0 required to graduate. She graduated from Olympia in 2015. She’s been cutting hair since but, for the first time, is now considering applying to college to pursue an interest in forensic science. Haas wonders what high school might have been like for her daughter if she’d gotten help earlier. She thinks, too, about all the kids at Sunshine and other ALS schools who don’t have strong advocates. Jacquline, who was happy to finally find success, said her senior year proved her best. 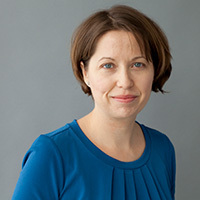 Heather Vogell reports on schools for ProPublica. Previously, she reported on test cheating in public schools at The Atlanta Journal-Constitution. Her work resulted in indictments of the superintendent and 34 others. 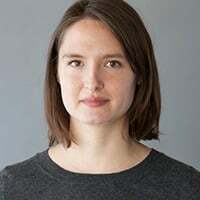 Hannah Fresques is a data fellow at ProPublica.